RCJM stands for the initials of its founders and was established in Switzerland in 1995. The company relocated to Cape Town in 1996. RCJM is an inbound tour and safari operator to Southern Africa arranging travel services for their clients including hotel accommodation, luxury trains, tours, safaris, lodges, transfers and domestic flights. RCJM works both with Agents and Direct Clients. Our RCJM Travel Specialists offer you a convenient and affordable "one-stop travel service". Our dedicated consultants will assist you with expert travel advise, convenient travel service reservations and detailed documents. Youcan book all your hotels, safaris, tours, transfers, luxury trains and car rental through us without having to pay more! 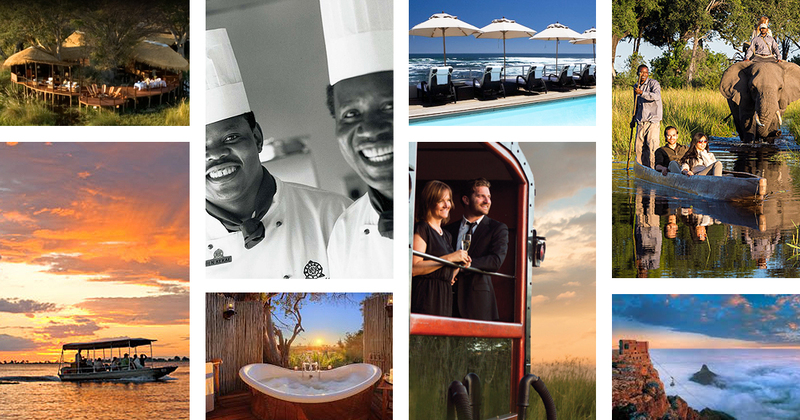 Whatever you need in Southern Africa - we will make it happen! We are contracted with many service providers and through our buying power we have access to preferential rates. We do not ask any booking fees and by having one point of contact we not only save you money but also valuable time. All our specialist travel consultants love to work with people and are passionate about Southern Africa. They have travelled to many places and can often give first hand information on the products and experiences. Our travel experts have many years of experience. It is their mission to compile a personal and tailor made package for you. Most of our consultants have been with RCJM for many years. Being based in Cape Town we make sure that we only use reliable and proven service providers. We strive for quality and reliable service and to deliver integrated travel solutions for individuals and group whether you come for business, leisure or adventure.